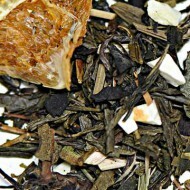 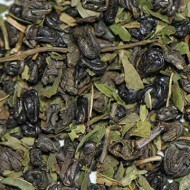 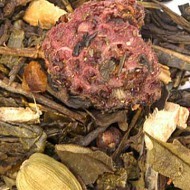 This naturally sweet tea is a blend of China Sencha green tea, hazelnut brittle, candied pineapple, coconut rasps, walnut pieces, all natural maple flavor and almond flakes. 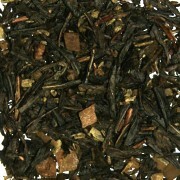 This tea has many layers of depth with fragrant melodies of crunchy walnuts, toasted coconut and sweet maple. 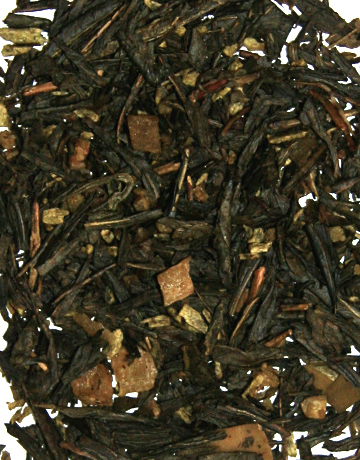 It offers a nutty, sweet flavor with a hint of tropical fruity pineapple. 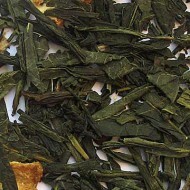 The result is a delicious and warming cup of green tea!